It’s born from an estate that rests upon a sloping hillside high above the beauty of Napa Valley and Lake Hennessey – its vineyards, carved from the steep terrain and planted in four blocks, each possess their own distinct personality. Gandona Estate is single-minded in our approach to ensuring quality. We don’t purchase out-side grapes and we custom-built a winery to control every stage of the grape growing and winemaking process. 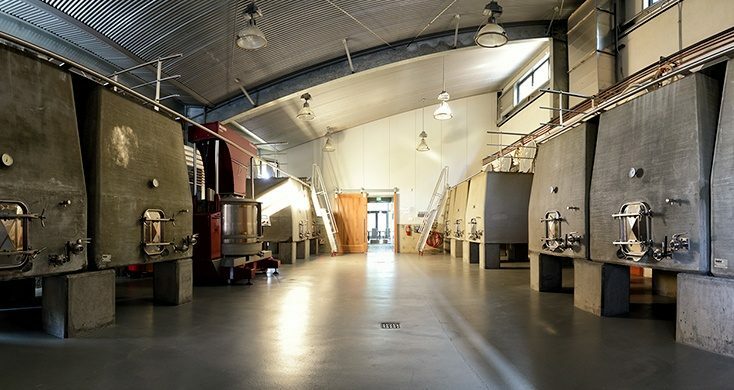 The winery was completed in 2010 and was designed to embrace the best of both old- and new-world winemaking techniques. 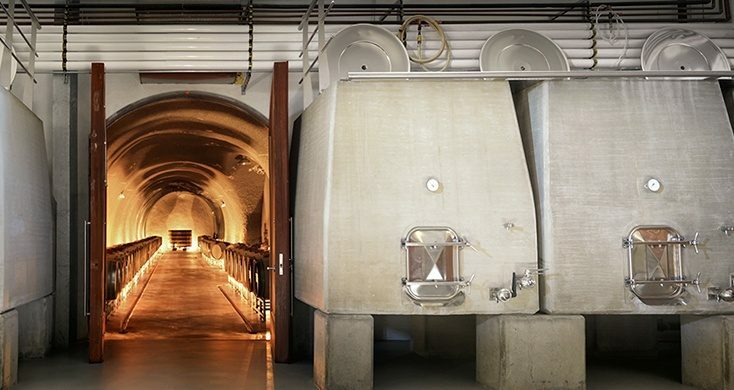 Adopting an old-world practice used by the legendary Chateaux of France, concrete fermentation tanks were incorporated into the winery’s design. 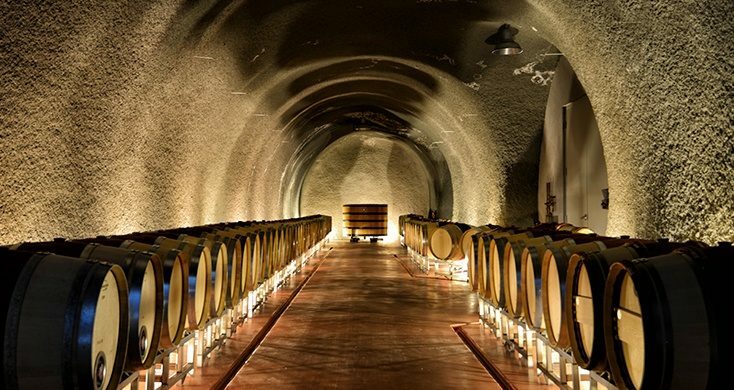 Wines are barrel-aged in a cave tucked inside Pritchard Hill’s rocky interior, providing consistently cool temperatures and an ideal degree of humidity. A separate, temperature-controlled room inside the cave can be heated or cooled as needed. Reclaimed wood and other repurposed materials were used in several areas of the winery, like the winery’s interior oak doors made from trees harvested from our former home in Connecticut. The boulders and rocks excavated from the cave were used to create the winery’s exterior wall, and the bathroom sink was chiseled from a large boulder excavated from deep inside the hill. 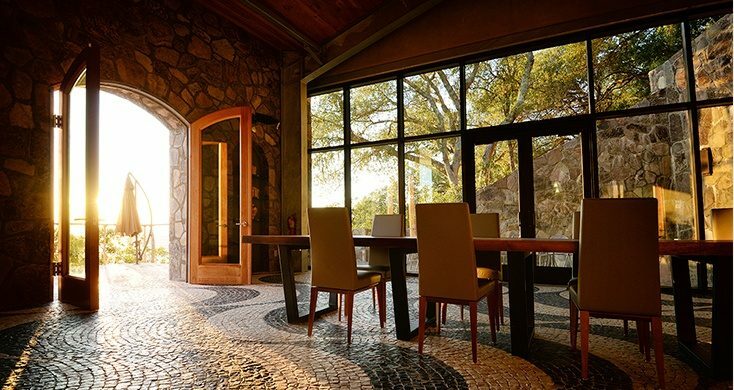 The property’s old redwood water storage tank was dismantled and transformed into beautiful doors for the winery and cave. Grapes arrive to the winery immediately after picking to be vinified in small lots. The winemaking team first hand-sorts individual clusters, selecting the finest for crushing and de-stemming. Then, individual berries are sorted, removing those with imperfections. The remaining grapes are transferred to concrete tanks for fermentation by a bin/gravity flow process. 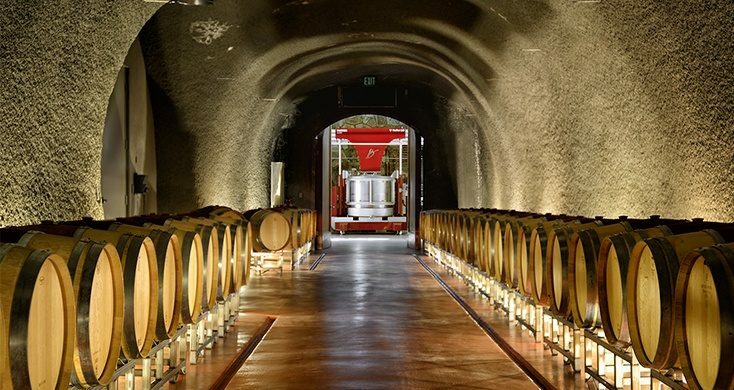 Once fermentation is complete, the wine is pressed and placed in French oak barrels for aging in Gandona Estate’s cave. Growing up in Portugal, Manuel Pires spent summers on his grandfather’s Quinta in the famed wine region of Douro, where he made a promise to himself to one day live a life working the land. In 2006, Manuel made good on that promise, purchasing an estate on Pritchard Hill where he began in earnest the development of what would become Gandona Estate. Together with world-renown winemaker Philippe Melka, they dedicate themselves to producing world-class wines. 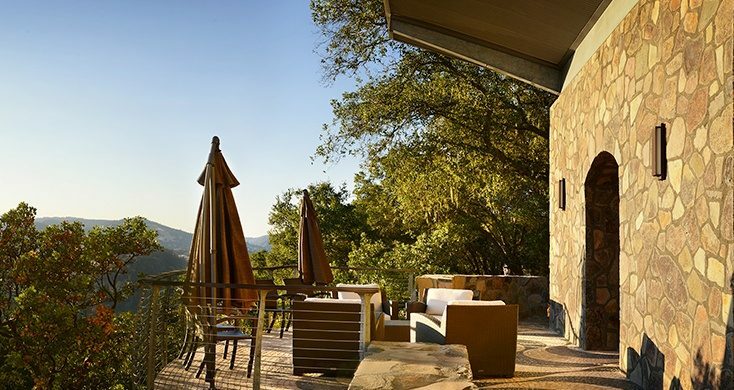 High above the beautiful Napa Valley’s Lake Hennessy lies Gandona Estate; 12 blocks carved into the steep terrain, each possessing a distinct personality and entirely unique expression of their place. A passion for the extraordinary, rooted in tradition, is made evident by the considera-tion and attention for every element on the estate. Seventeen acres of predominantly Bordeaux varietals are planted on a range of Sobrante Loam variants. These grapes produce an array of flavors and require several hand harvesting passes. Meticulously hand-farmed, the careful attention of our team at Gandona is based on long-term sustainable practices, not just to reach an immediate end result but also to maintain and en-hance the quality of the land, air and water at the estate. The legacy of Pritchard Hill began in the 1870’s when Charles Pritchard planted vines along the hillside that would eventually reveal the now-famous quality of the site and secure his name in history. Adjacent to Charles’s home-site, the land of Gandona Estate was settled in 1862 by Daniel K. Dille, a mine laborer and farmer. 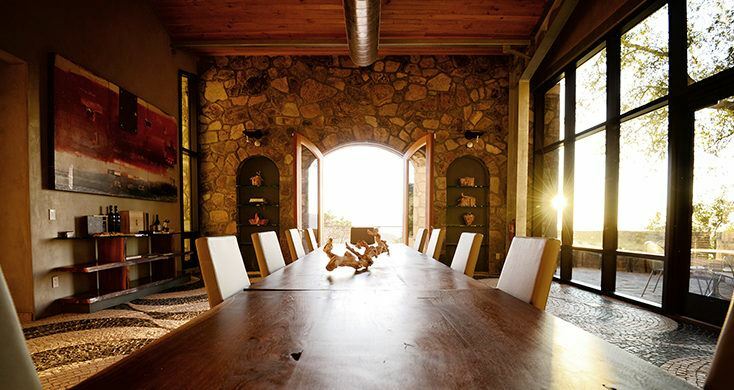 The property changed hands several times over the ensuing years, eventually being purchased and developed by Bob Long in 1966 who planted a vineyard on the site that same year. The Long Vineyards winery was founded in 1977 and produced Chardonnay, Cabernet Sauvignon, and Riesling of great reputation.